Suitable for photography, large video productions, not soundproofed. Southside Garage is our latest venue opened in March 2019. This is an open plan studio suitable for clients wanting to work with daylight as it offers a 10 metre long skylight and 10 metres x 4 metres South facing window. 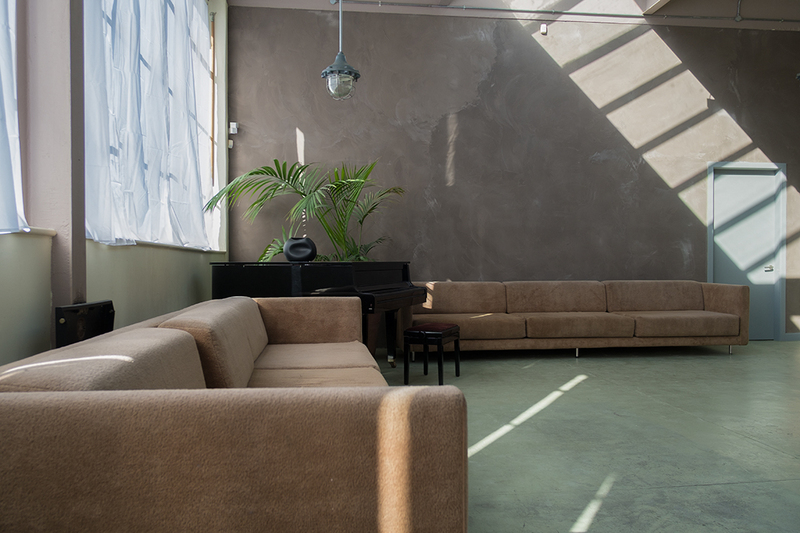 It can be fully blacked out with our heavy duty stage curtains and blinds. 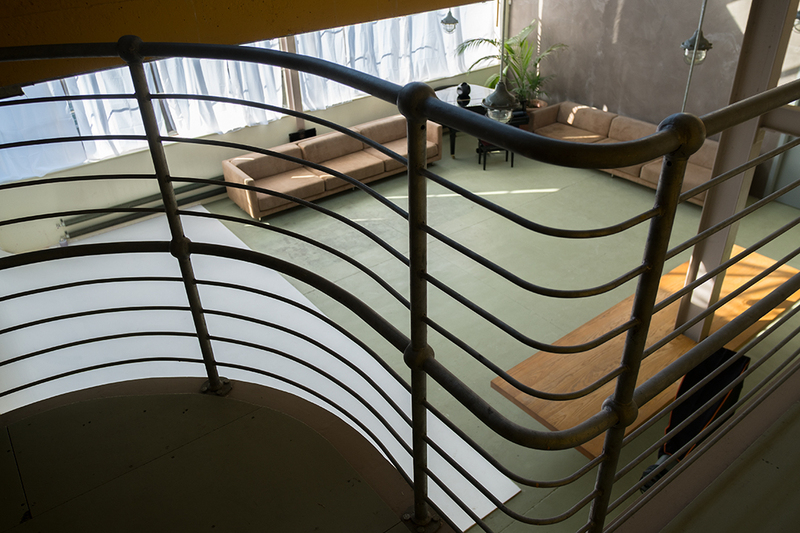 The venue comprises a self-contained loft with 32′ photography studio, a massive master bedroom en-suite and 2 extra rooms which are available for film production and an open plan kitchen. Please enquire for details. 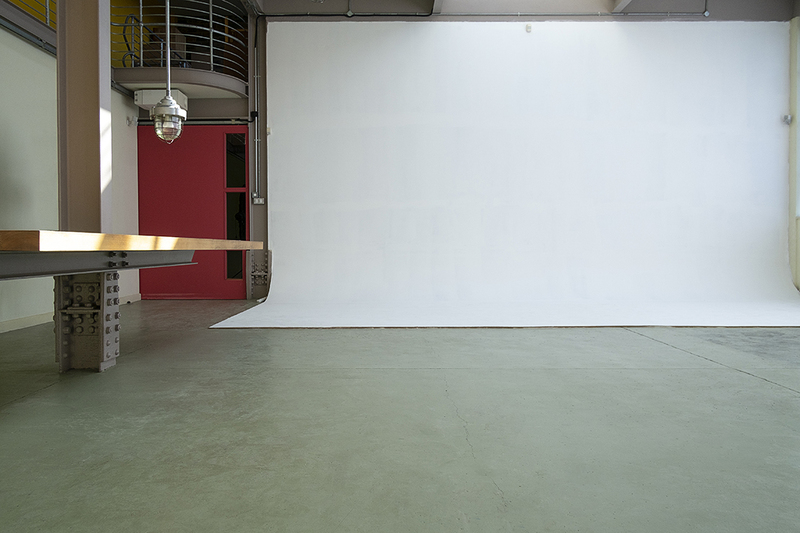 The main studio has a built in white infinity wall 7.30 metres x 4.15 metres. We offer two types of lighting: flash lights for photography and continuous lights for video production. Various types of modifiers including Beauty Dish, Octagon Softbox 150 cm diameter with grids, 2 x Strip Softboxes 180 x 40 cm with grids, 1 x Strip Softbox 120 x 30 cm with grids, Rectangular Softboxes 100 x 60 cm, Umbrella 180 cm, snoots. Flags 240 x 120 cm (polyborads black and white). 3 x LED panels Apurture Amaran (2 x AL-528W, 1 x AL-528-S), 3 x continuous lamps with soft boxes (5 x 45 watt bulbs each), 2 x space lights (5 x 135 Watt each). We provide wireless triggers for Canon, Nikon and Sony systems.